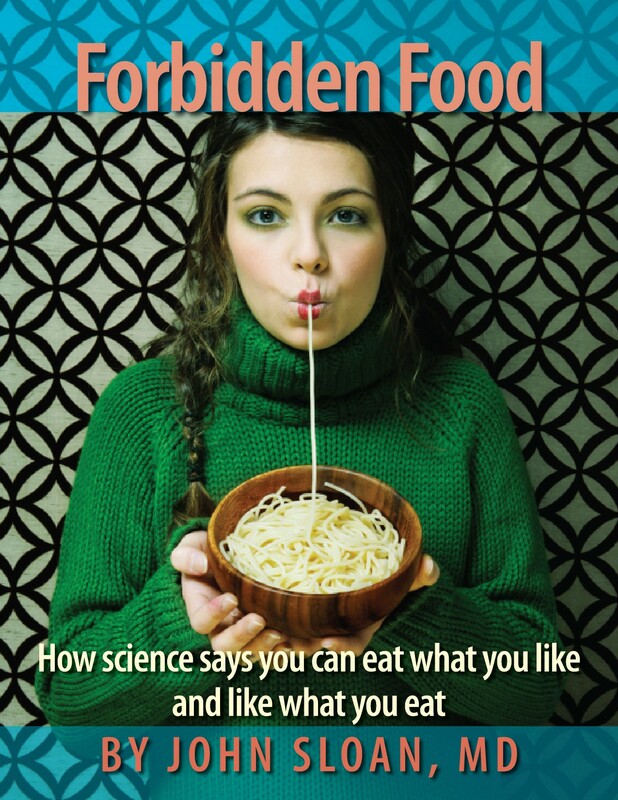 I have published a third book, called Forbidden Food: How Science Says you can Eat what you Like and Like what you Eat. The message? The only bad food is food that tastes bad. It’s the news about diet you’ve always wanted to hear, but may have trouble believing. I am of course a medical doctor, but I love to eat. So I spent several years combing the scientific literature on healthy eating, and Forbidden Food reveals what I found: next to nothing! Everything we seem to believe about salt, sugar, fat, fiber, antioxidants etc. is based on science so thin and shabby that nobody with a healthy sense of proportion should be paying any attention. What has happened? I speculate about why we need to believe in food ideology. But the bottom line of this astonishing story is that the best-available science says you really can eat whatever you like. I went to significant trouble, with some help, to try to interest traditional publishers in my book. Everybody declined including my old friends at Greystone in Vancouver. I’m not too badly damaged by the rejection: if your business was struggling and survival depended on successful books, would you take on one that promotes the dietary version of “It’s okay to smoke cigarettes”? So I defaulted to self-publishing. But you can still buy it.